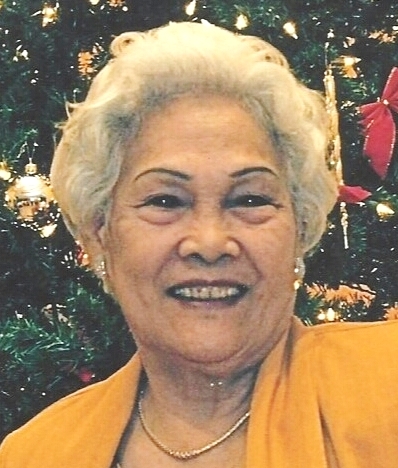 Beloved Wife, Mother, and Grandmother Petra Molina Villegas, 83, passed away at Pali Momi Medical Center on March 10, 2017. Born March 13, 1933 in Bantay, Ilocos Sur, Philippines. She was a cook at Dot's Restaurant in Wahiawa. She is survived by her husband, Eleuterio; sons Pablito (Martina), Sinfroso "Jimmy", Loreto (Belinda) and Plaridel (Michele); sister Adelina Lopez; 15 grandchildren; 12 great grandchildren. She was predeceased by her son Mario. Visitation 5:30 pm, Tuesday April 25, 2017 at Mililani Mortuary Mauka Chapel; Wake Service 6:30 pm. Visitation also 9:00 am Wednesday April 26, 2017 at Mililani Mortuary Mauka Chapel. Funeral Service 10:15 am. Burial 11:00 am at Mililani Memorial Park.